Seventy years ago today, the Imperial Japanese Navy attacked the U.S. naval base at Pearl Harbor, Hawaii. About 2,400 U.S. personnel were killed including 1,177 officers and crewmen aboard the battleship Arizona. It remains at the bottom of the Harbor beneath a memorial bearing the names of those lost on her, and others who served on the Arizona and will be laid to rest there. One connection to that battle can be found over 4,000 miles east, at the National Personnel Records Center in St. Louis. It houses more than 56 million records on U.S. military individuals dating back to 1841. Among them are several hundred files on crewmembers of the Arizona. Those files were aboard the battleship when it sank. They are now are undergoing conservation measures by the Center’s archivists. McGraw says the documents have sustained water damage, bear residue from fires from the battle, and some still smell like fuel. A variety of steps are being taken to save them. That includes mending, humidifying and flattening and removing fasteners, rust and debris. To see images of some of the documents, courtsey of the Center, visit this [slideshow of documents]. The project could take months or years before it is completed, as the staff continues to answer other requests for information. 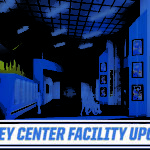 For information on the Center and to learn how to make a request, visit its website.